10,000 FREE EOS Accounts up for grabs! 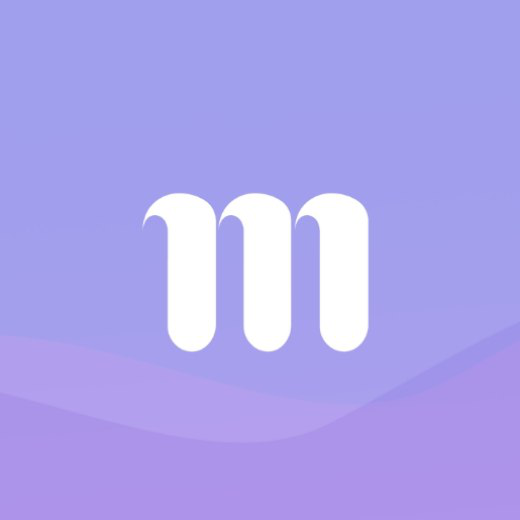 Murmur — A Content Rewarding Spam Proof Social Network Built on the EOS Blockchain. Welcome to a simplistic setup and run through of a Dapp that is gaining traction amongst the EOS Community. From us at GenerEOS we share our experience with Murmur. Murmur allows users to communicate to each other in similar ways to centralized projects such as Twitter. Yet, it has its own unique differences that sets it apart from many centralized projects. Murmur is best described as a microblogging platform but better. How can it be better I hear you ask? Murmur for a start is a Decentralized Application also known as a Dapp. It’s a Dapp that never holds your data or personal information. This differed from Centralized Apps that continue to hold, store & sell your data while the user never sees a dollar for their personal data. A perfect example is Facebook. When you make a profile, it’s made independently from the application itself and interacts with the app for managing access. Murmur gives the user, complete control over the data they share & create, including third parties and advertisers within the Dapp. Any history of a user’s activity is logged on the server remotely and nothing else is done to the information! Murmur also boasts an In-Dapp EOS wallet, being able to send, store & transact on EOS surrounding tokens. Users control their private keys, not Murmur. Ensure you have enough resources (CPU & NET) allocated to your account. The more active you are on Murmur the more resources it will use. Join our Tutorial and run through of what Murmur really is. We’re using the Android version, but there is no difference in Android & iOS. To read up & visit more on Murmur click on Decentralize. The Android Murmur App has been out for 6 weeks, whilst the iOS Murmur App has been out for roughly 5 weeks. Already there is a good number of users considering the Dapp’s development. Around 300–450 users every 24hours. Murmur also has an active community that’s abundant with content that continues to grow with each posting. Go to the Play Store or App Store and search for “Murmur”. 3. You will be greeted with the Official Murmur Screen for Account Importation or Create a New Account. To create a Limited FREE EOS Account, click on Create Account. If you don’t want to claim a Free EOS account, Skip to our Import Account section. Your account will be activated between 24–72hrs. Murmur will be paying for the cost of creating the account. A new account will need more EOS staked if it’s to be used regularly. Be aware of what you publish as publishing a lot quickly will use your resources quickly. This helps filter the Spam scenario due to resource allocation. Enter your New Account information using the 12 characters from a-z and1–5 allowed. No special Characters or wingdings are allowed. Enter your Referral Code if you have been given one. 2. If your preferred account name is available you will be welcomed with the . this shown screen, requesting for you to Generate Keys. 3. Your Key Pairs details will appear on the screen. Please understand if you lose your keys your account cannot be recovered. Congratulations! You have successfully gained a free EOS account from Murmur. Ensure you’re using your Active Keys, as a precautionary measure always for Importing Accounts. I strongly suggest users use their Active keys only on any Dapps. Importing an Account is simple. Enter the Active Key where it says “Enter Active private key” then click on Import Account. 2. Click on the EOS account you wish to use. 3. Now enter a 2FA pin. 2FA stands for 2 Factor Authentication for any newcomers. Write it down somewhere safe if you need to. 4. After entering your 2FA pin you will be welcomed by a screen similar to this one. You will notice that your Private & Active keys are shown. This is normal for Murmur to display this information. They are NOT new keys. 5. You are now actively in Murmur and will be presented with a Recommended People to Follow list. Congratulations! You’re now ready to start Murmuring. Murmur has something that will be familiar to users. Some might make sense straight away but let’s go through the terms just for clarification. Feed is actively “feeding” through the Murmurs or posts that have been made. Similar to Twitter in the live feed, but totally different due to it’s uniqueness and blockchain based technology, EOSIO. Users can see the transactions or “posts’ they do on block explorers also. See below. 2. The post from our Murmur account displayed on a Block Explorer. Matches perfectly. Home is the function of going to your account and seeing what you have posted and other posts you have interacted with. For example, a person you follow has posted, you will see they’re posted in your Home menu. Murmur enables users to share or broadcast a 256-character text message accompanied with images etc to all their followers and main feed. Tipping can be done by clicking on the Dollar sign on anyone’s Murmurs. Users will then be able to select which tokens they would prefer to tip in and adjusting amounts. Whisper is to privately message another person that you follow. This is protected by private key encryption for users. Whispering is a p2p or Peer to Peer encrypted chat. The chat is recorded to the EOS blockchain and only the receiver may view it by using his/her private key. This is currently in Alpha and is undergoing optimization. Snoop is similar to clicking “like” on FB. Snoops equate to appreciation for the post, the more Snoops the more people like it. It’s icon is a lined heart. Yell is like a Retweet. Yelling something is to re-share within the Murmur community. Yelling allows users to add comments, pics, gifs etc. Settings — Profile — Notifications are easily accessible and easy to use. They are currently being stored Murmur servers and also on Bluzelle which is a Decentralized Database. Notifications is exactly what it says. Any notifications you receive will appear here, from Snoops, Yells etc. Wallet is a EOS Wallet which allows users to send and receive EOS & EOS based tokens. This will grow over time also. Users can delegate resources and stake tokens whilst being able to export their keys & view transaction history. Accessing the wallet is simple, up in the top left of the screen you will find 3 “horizontal bars”. Click on these to access the Wallet and other Account Information including Changing of Security Pin and View Account Information.